Formalwear + denim is one of my FAVORITE fashion pairings. 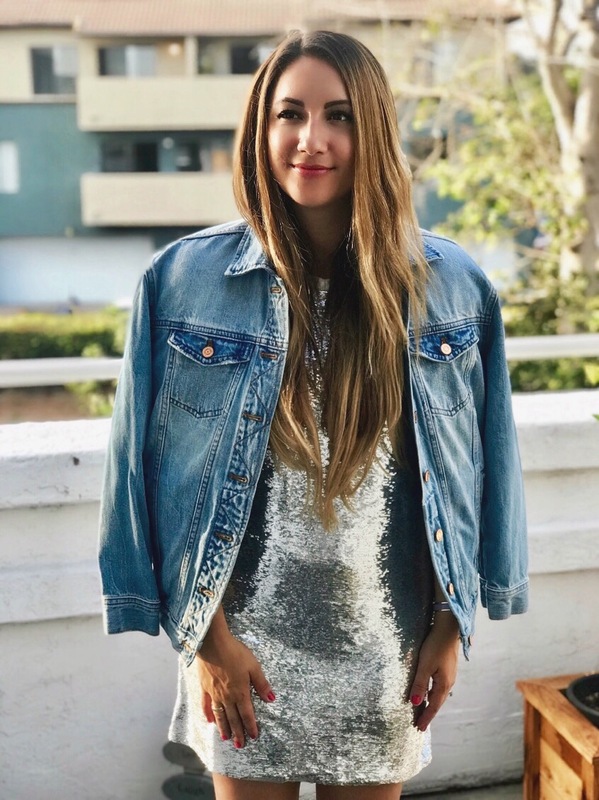 I love wearing my Iro Paris Nabara Sequin Dress from Saks (on sale now!) and popping on my Jcrew denim jacket for a cool and modern James Dean look. My white Chanel pumps add a little polish to this dressy/casual outfit and are great for hot summer nights. Penny loves them, too!